Using existing Technology and InformaTrac Pro's Cloud Middleware your users can be assured that the right information is delivered, in real time, to the hands of the person who needs it. Easily connect your phones, tablets, PC's, RFID and Barcode devices to your enterprise with InformaTrac Pro. Coordinate assets, people and work based on its current and past locations. Combine Barcodes and RFID to fully automate your location management. 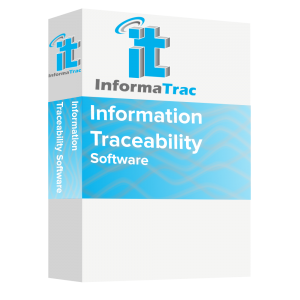 Along with the general users, InformaTrac Pro can be used to track people. With Barcode and/or RFID tracking you can easily track their current location and their location history. 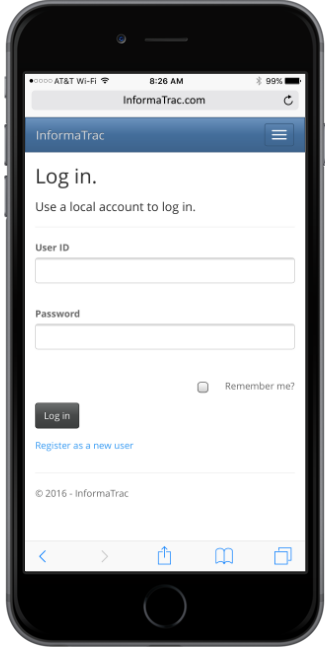 Access secure data from anywhere with your mobile device. Utilize the powerful and easy to use web reporting tools to keep your decision makers informed with virtually any browser on any device. InformaTrac can be configured to calculate your company metrics in real time and have them displayed through charts, reports or on the dashboard. InformaTrac Pro's customizable dashboard allows you to configure what information is critical to you and allow that to all be displayed in one convenient location. Configure InformaTrac Pro to draw data from other systems, consolidate information and make it available in real time for charting, reporting or for applications.